Separate the two foie gras lobes and devein. Place them in a deep, flat dish and spray with the ice cider. Sprinkle on the three spices and season with salt and pepper. Turn them over so that they are covered all over and seasoned equally. Set aside for 30 minutes. Place one piece of lobe in the bottom of a terrine or similar ovenproof dish which is just large enough to hold both pieces of foie gras. 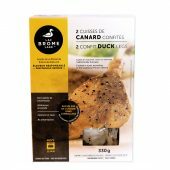 Place the sliced figs and the meat of the confit duck legs on top of the foie gras and in the cracks. Cover with the other piece of foie gras, then the bacon slices. Drizzle the rest of the marinade over the terrine then cover with plastic wrap. Refrigerate for 12-24 hours. Remove the terrine from the refrigerator, then drain two thirds of the marinade. Set aside. Preheat the oven to 150 °C (300 °F). Place the uncovered terrine on a baking tray with slightly raised edges. Pour 1.25 cm (½”) of water in the tray and place on the middle rack of the oven. Bake the terrine for 30 minutes. 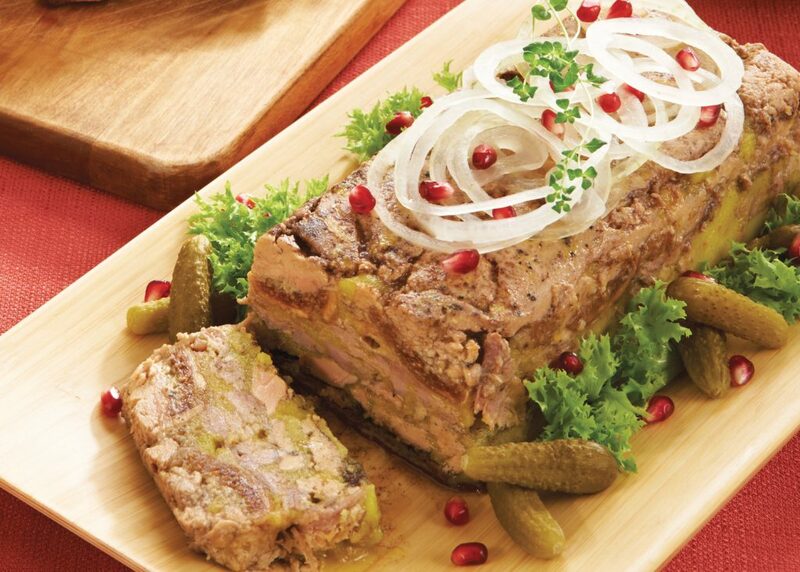 Remove the terrine from the oven and set aside for two hours before covering with a small board and a weight to make it more compact, for a minimum of 24 hours in the refrigerator. Serve with crackers and fleur de sel.